Tanji Johnson is the president of the University of Maryland University College (UMUC) Student Veterans of America branch and the UMUC veterans service liaison. As a Navy veteran and current student of UMUC, Tanji understands what it takes to help the school’s huge military and veteran-student population. Will you tell me about your military experience? TJ: I loved my time in the Navy. I worked in IT (Information System Technician) and was active for 16 years. I got to travel all over; I was stationed in Guam, Alaska, Japan, and Hawaii. How was your transition out of the military? TJ: After I left the military, I became a stay-at-home mom. I didn’t go back to work for a long time. When I was ready to go back to work, it was more difficult than I thought it would be. After speaking to a VA (Veterans Affairs) representative at the unemployment office, I realized that I could qualify for Chapter 31 benefits, the vocational rehabilitation and employment program, which would allow me to go back to school. How did you decide to go to UMUC, and what did you study? TJ: I asked around in the veteran and military community, especially through my church. Most of the people I spoke to were attending UMUC and had great things to say. I started out studying business administration with a human resources minor, but I ended up dropping the minor and adding a human resources certificate. I have a few classes left before I graduate. What has been your experience as a veteran there? Why is UMUC a good fit for veterans? TJ: One day I had to visit the Largo campus and came across the Vessey Veterans Resource Center. I didn’t know UMUC had a veterans resource center, so I walked in to find out more information. The staff was extremely friendly and welcoming. As luck would have it, they were looking for an assistant, and I was still looking for a part-time job while I was taking classes. I applied for the job and got it! 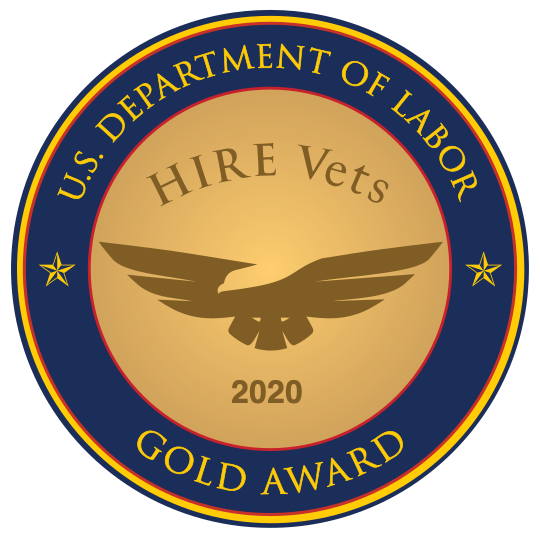 While I was working in that position, the director of Veteran Initiatives and Outreach, Chris Tipton, was working on implementing a new position – a veteran services liaison. He offered me the job, and I accepted. In this role, I talk to veterans and help them understand what benefits and services are available to them at the university. Some of our veterans come in with challenges after their military service, which makes it more difficult for them to be successful. My job is to help ease that transition and find ways to minimize the challenges with all of the services that UMUC offers. What’s something that veterans might be surprised to learn about UMUC? TJ: Everyone at UMUC goes above and beyond to provide as much assistance to veterans as possible. I didn’t know until I started taking classes and working here how much assistance is provided. We are dedicated to our students’ success. What is the biggest challenge to veteran students, and how does UMUC address that challenge? TJ: The biggest challenge I hear is that the online and hybrid classes don’t necessarily allow for students to connect to each other. To help with that lack of connection, we offer a program called the MIL-VET Checkpoint. It’s an online community that allows UMUC veteran and military students to connect with one another. It’s also a message board where we’ll post scholarship information, career opportunities, and other information. In addition, we have a student veterans association that we are revamping this year. We are trying to get the word out so more veteran students can join us. We also provide a One2One Mentorship program, which veteran students have found very helpful if they feel like they aren’t succeeding like they could be. As the associate vice president of Veterans Initiatives and Military Support, Keith Hauk ensures student veterans receive needed advocacy, resources, and support. He has developed initiatives focused on student veteran recruitment, retention, and services, and worked with government agencies, non-profit groups, and the private-sector to secure the resources needed to enhance the holistic well-being of student veterans. We asked him about why he does what he does and for advice for student veterans. What made you decide to join the Army? KH: When I was coming out of high school, I knew I wanted to go to college, and I knew I wanted to join the military. I was fortunate enough to be accepted into West Point. After college, my plan was to serve five years in the military and then get out and do something else. But I had such a great experience over those five years, I decided to stick around for another three years. Then another opportunity came up and, before I knew it, I had been in the military for 10 years. At that point, I decided to stick it out and serve until retirement, which ended up being 29 years in the summer of 2015, when I retired as a colonel. Tell me about your time in the military. KH: I was an infantryman. I was stationed pretty much everywhere but Korea. I served all over the United States, Panama, Germany, Saudi Arabia, Kuwait, Iraq, and Afghanistan. How was your transition from military to civilian life? What do you want to do? You have a once-in-a-lifetime opportunity to decide what the rest of your life will look like. It may or may not be the same types of things you did in the military. Figure that piece out as early as possible. What is your goal income? Consider the things that change when you leave the military, like taxes you’ll have to pay as a civilian that you didn’t pay in the military, and cost of living in a new area. Where do you want to live? Where do you want to put down roots for the foreseeable future? Then prioritize those three things depending on what is most important to you. I think the one sure way to fail in your transition is to treat it like a PCS (permanent change of station) move. When you move in the military, nothing fundamentally changes in terms of your employment status or financial situation. When you transition out, that continuity comes off the table. I didn’t have to think about state tax when I moved from Fort Knox to Fort Bragg. When I transitioned out of the military while living in a high cost-of-living, high-tax area, I had to consider things like that. What did you do when you transitioned out? KH: I thought about the jobs that gave me the greatest personal satisfaction in the military. Those tended to be positions where I had close, daily interaction with soldiers, NCOs (noncommissioned officers), and family members, trying to help them solve problems. That eventually pushed me to higher education. I started digging and I found that a lot of former military members are in this space, particularly in schools like UMUC, that have a high number of military and veteran students. What are the main draws for veterans to come to UMUC? KH: I think flexibility is a major advantage for veterans at UMUC, considering we offer online and hybrid classes. Also, our student population tends to skew a little bit older than traditional students, and our students are typically working and have other responsibilities in addition to going to school. What advice would you offer someone who is still in the military considering going to school when they get out? KH: Understand your Post 9-11 GI Bill® benefits. Also, really think through what you want out of your higher education experience. In the military, you’re always taught to “backwards plan.” Do the same thing with your education experience and career. Going back to school is a lot of work. Be prepared for the fact that it may be tough after being away from that environment. But, if you stick with it, you’ll be successful. The same things that made you successful in the military can make you successful in pursuing your degree. UMUC has been serving the higher education needs of the U.S. armed forces since 1947. Today, they enroll more than 50,000 active-duty military servicemembers, reservists, veterans, and their family members. As one of the 12 member institutions of the University System of Maryland, UMUC offers 90+ degrees, specializations, and certificates. Learn online or take hybrid classes at one of 20+ locations in Maryland, D.C., and Virginia. Or, study on-site at military installations in 20+ countries and territories.